For the 5th consecutive year, TriMark Digital has been named one of Inc. Magazine’s Fastest Growing Companies in America. With this honor, the Downtown Raleigh marketing agency has been inducted as a member of the Inc. Honor Roll—a recognition awarded to 5-time honorees. Previous rankings include #2140 for 2013, #1519 for 2012, #571 for 2011 and #372 for 2010. 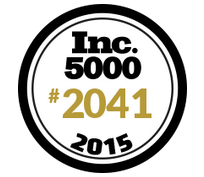 Since 2011, TriMark Digital has everything but flaked on its place in Inc. Magazine’s prestigious group. The digital-focused, data-driven marketing agency has maintained steady inclines in revenue growth, clientele and employee base since its inception in 2006. “It’s been quite journey we’ve traveled these past 9 years and it wouldn’t be the same if not shared with the loyal clients and employees who have invested in our brand for so long,” he adds.